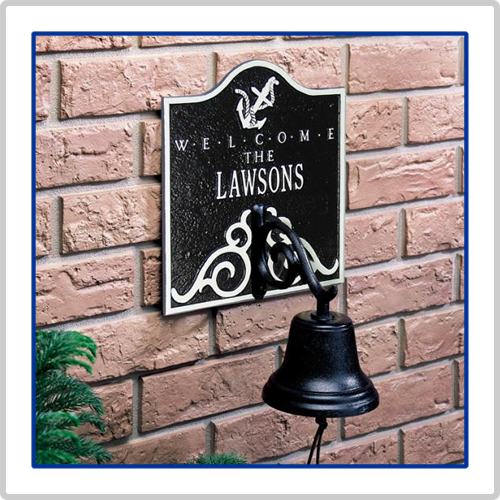 Personalize our welcome nautical address plaque with your choice of colored numbers and characters for your street address. An anchor is centered at the top of this address plaque and a 8" bell is centered at the base. 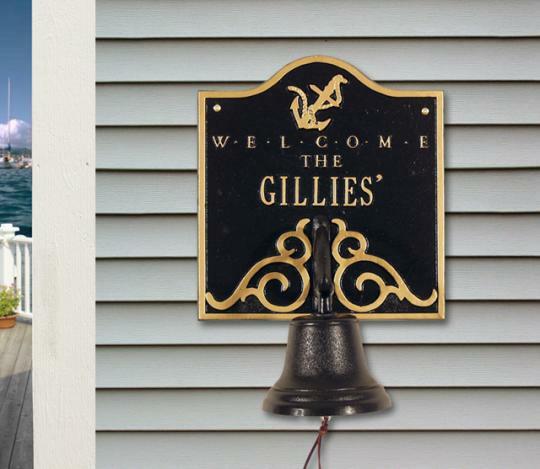 If your house is near the beach, your guest will be able to use the bell to signal they are at your door. Hardware: comes with one inch brass mounting screws Made in USA Nautical address plaques are hand-cast in recycled aluminum from a mold. This product will never rust since it is made of cast aluminum. After casting, the plaque is colored with weather-resistant, powder-coated finishes. Custom Address Plaque Dimensions: 10.5" x 11.5" w/ 8"
Enter your Personalized Details under Customer Notes when you check out.